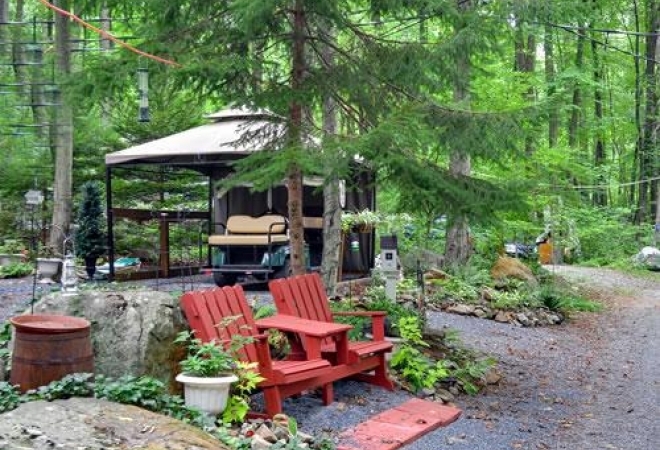 Sun Valley RV Campground is a seasonal Pennsylvania RV park with facilities designed to make your stay as comfortable, convenient and fun as possible. Located in the heart of Pennsylvania Dutch Country, you will never be without things to do. Sun Valley RV Campground is conveniently located near various attractions such as Hershey Park, Dorney Water Park, Dutch Wonderland, Sesame Place, Longwood Gardens, Strasburg Railroad and Train Museum and Maple Grove Raceway. Back at the campground, enjoy our long list of attractive amenities. A swimming pool, snack bar and store, fishing pond, outdoor pavilion, game room, playground, basketball court, horseshoe pits, volleyball, laundry facility and organized activities are all available. Sun Valley RV Campground is perfect for overnight or extended-stay camping on a seasonal basis. We are a RV park in Pennsylvania Dutch Country with full hook-up sites, big rig sites, 50-amp service, and plenty of room for slide-outs. Don't have a camper? Our new Premier vacation cottage rentals sleep up to eight. We look forward to demonstrating the superior customer service of Sun Valley RV Campground on your next visit to Pennsylvania Dutch Country.